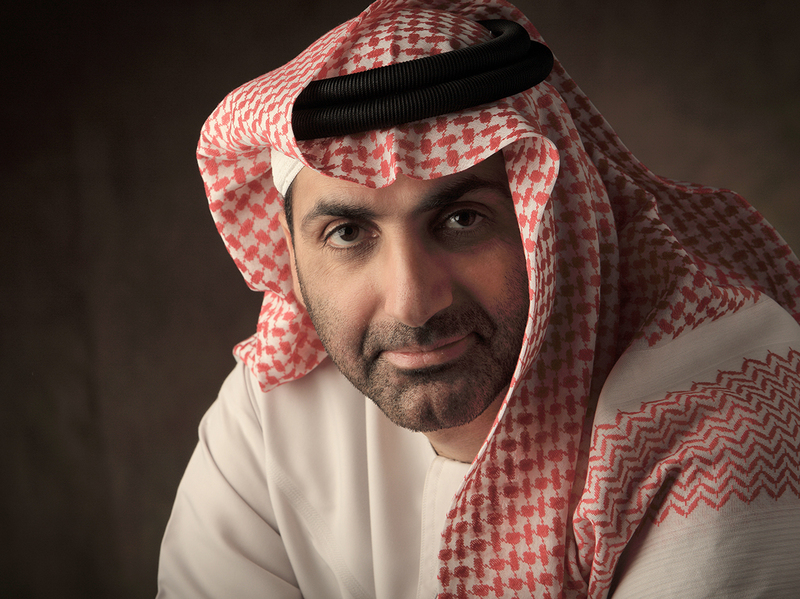 The Green Sheikh – Microsite | Celebrity Speakers – The Green Sheikh speaks about environmental sustainability in our oil driven society. His speech topics include Corporate Social Responsibility, the importance of a greener future and the social and economic effects of climate change in the Gulf region. "Everything I do, I do from a sense of responsibility first and foremost as a human being." 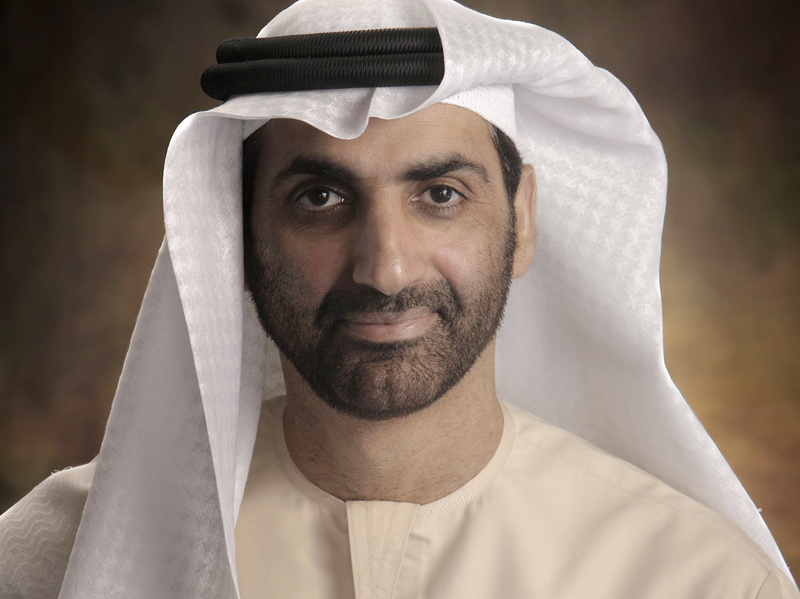 Sheikh Abdul Aziz bin Ali Al Nuaimi is a man of great integrity and fondly known around the world as the ‘Green Sheikh’. His mission has been to raise global awareness at many levels, from developing and empowering youth to supporting and sponsoring 900 orphans to sustaining more than 5,000 unfortunate individuals and under privileged families, through the Al Ihsan Charity he over sees as the Executive President. Appointed Environmental Advisor to the Ajman government and previously International Senior Board Advisor at WANA Forum in Jordan, an honorary member at the Arab Thoughts Forum, both chaired by H.R.H Princess El Hassan bin Talal. 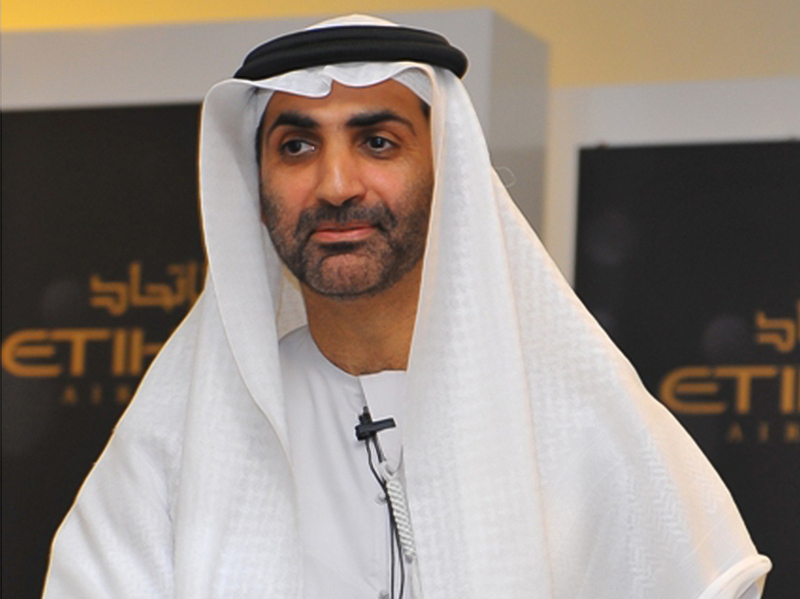 The “Green Sheikh” a transformational leader and global campaigner, has been recognized worldwide for his high social and environmental impact activities. 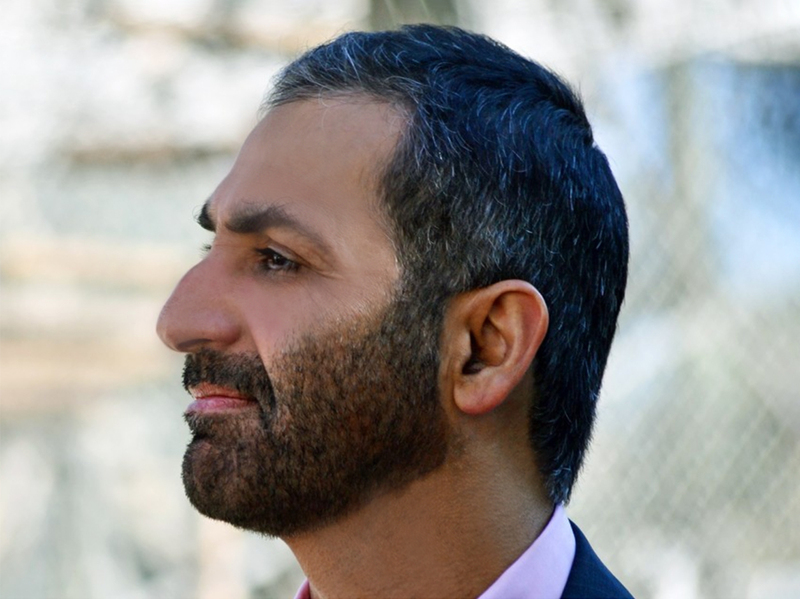 Educated in chemical and petroleum engineering, with an MA in environmental management, and a PhD in clean production and industrial ecosystems, the Sheikh hopes to radically reform education and respect for the environment in the Middle East. He has activated and co-ordinated the formation of environmentally and socially responsible non-governmental organisations. He has created partnerships between public, private and local communities and has advised and raised awareness among decision makers promoting these issues in the media. Why do they call you the Green Sheikh? It is not what people normally think of when they think of green, like the color of an object. Green for me means, G for global, R for rethink, E for enlightenment — we need guidance, we need a way to follow … the other E is ethics — morals, values; and N for network, we cannot live alone, we cannot live as individuals, but we can live together as a Network. 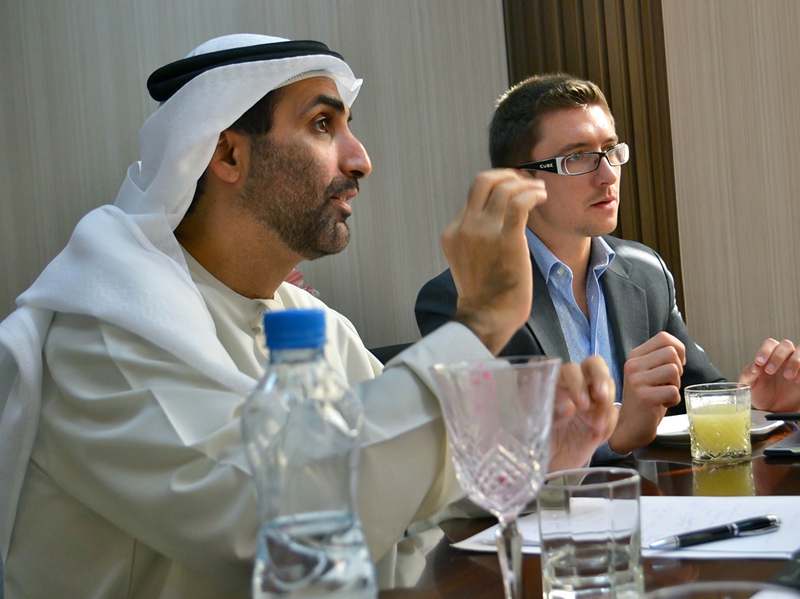 Do you think working with others will produce the best change in the environmental outlook in the UAE? The partnership and the relationship between the public sector, the private sector and NGOs working together in collaboration is very important. We can say it’s a problem …or we can say it’s a challenge. I think the most important thing is cultural and behavioral change. What was the catalyst which inspired you to move from polluter to environmentalist and how did you act on this? First of all, I worked in the oil industry for about three years and then the gas industry. I smelled sulfur dioxide; I drank hydrogen sulfide; I was contaminated with a lot of hazardous waste. I could feel it from the inside. My lungs became irritated and my breathing became labored and I have seen people die in front of me having been exposed to that environment. At the UN Conference on Sustainable Development in Rio de Janeiro, which topic area did you feel was most important to you? In Rio I focused on youth. Really, I respect youth because even as I grow older, my soul is young, my heart is young. I think today’s youth are changing the world. The thing is not to tell them what to do, as someone from a ruling family, you are so prestigious, you are at such a high level, when you go down to their level and listen to them, inspire them, talk to them and give them hope… They feel so motivated and so very powerful. Did the UAE participate in the Rio +20 conference? Yes, there were representatives from the UAE government, from the public sector and NGO delegates as well and I joined them. It was a great opportunity for us to share our experiences and to learn about the challenges of sustainability around the globe. Why book the “Green Sheikh”? An incredibly successful and sought-after speaker and one of Middle East’s most upcoming and fascinating figures, Sheikh Abdul Aziz Al Nuaimi has made a name for himself through a disruptive career in environmentalism and as a youth catalyzer through his inspirational way of being a natural leader. He is considered to be a change agent for Environmental planning and long term strategy on Sustainability in the UAE, leading as a global visionary environmentalist and social campaigner in the GGC countries and the Arab World. A passionate and engaging speaker, the Green Sheikh travels the world delivering compassionate presentations extolling the virtues of holistic living and the importance of environmental awareness. We provide the most influential people on the planet to inspire, educate, motivate or entertain. It’s what we do best and what we’ve been doing since 1983. In those early days, we were pioneers of the speaker industry in Europe. Today we are a world leading speaker bureau. With offices in sixteen countries we represent leading thinkers and can connect you to virtually every personality in the world. We are renowned for providing the highest levels of customer service and advice when selecting a speaker, and why we continue to retain our world-class clientele. When you choose CSA, rest assured, you will be working with the best in the business. Outstanding service. You always seem to pull it out of the bag for us, whatever we need - already thinking about next year. Excellent service, you were able to move our speaker from a Thursday to Friday night at the very last minute without any problems, first class servce. Good and professional service. Great support as always, especially during the event preparation and with logistics, very easy to work with. © 2019 The Green Sheikh - Microsite | Celebrity Speakers.